Recently, Hurricane Harvey and Hurricane Irma came and unleashed hell. It seems like so many of us are hostile, angry, and deadly on our roads, in our schools, and in our common everyday interactions with each other. It ain’t pretty! Evil and stupidity triumphed and triumphs in so many places and even became leader of the “free” world and the most powerful man on the planet. And if that isn’t enough, another wicked arseclown threatens to sink Japan and nuke the American landscape and people to ashes. We feel spent and misunderstood. People we love get sick and/or die–or maybe even worse, in some cases, disappoint. We disappoint, and we will die too. The nonsense we have to deal with in between birth and death is endless. Endless. So what can we do in light of all this chaos and helplessness?! Except, maybe, try to focus our attention on CHOOSING our attitude and reactions and to keep asking whoever or whatever we believe in to give us the strength to endure, to rise up every time we fall in spite of it all. Call to action: Rise up! 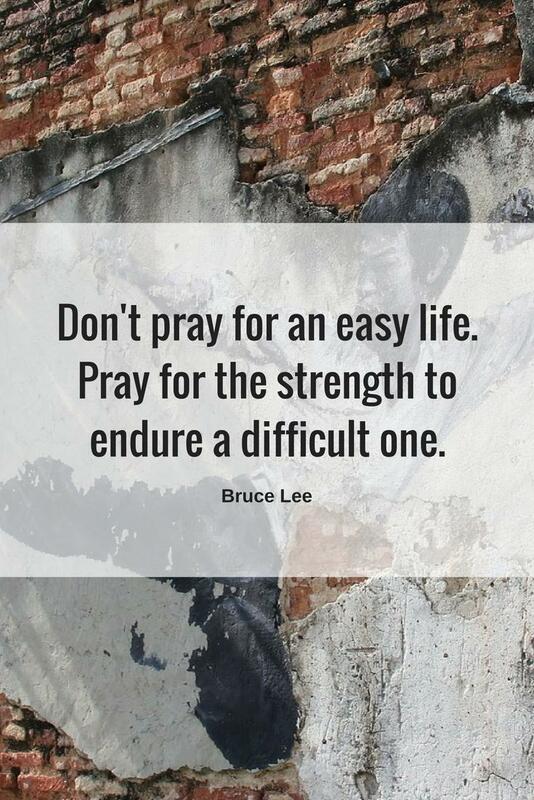 And share in the comments what you are doing to endure. You might just help someone who is struggling or make them feel less alone. Here are two previous post you might enjoy: Remembrance: Deep, Meaningful, True and How We Survive the Next 3.5 Years! Right Is Wrong, Wrong Is Right? < Previous He Died Yesterday! Next > This Beast Is Real! Hmmmm. I find that despite it all there is so so much to be thankful to God for. So much good and beauty. And so much love. Truly. Betsy, you’re so right! There is so much beauty and love and so much to be thankful for. And yet, everything I (and others) feel here is true. Darlin! Life has never been sweet. Margaret, that’s about the size of it! Although I always suspected as much, I must admit that once upon a time I held secret + “unrealistic” expectations! Life has never been easy, but the unfairness and inequality of it all are just more apparent in the world of social media, the 24 hour news cycle and the phone as a camera to document all. Hurricane Gilbert decimated Jamaica with category 4 and 5 winds in the late 1980s, but few images are around. I only had my parents descriptions to document the damage and horror they lived through. I’m the world now , those who are awake can and do act when needed. Hopefully, the Caribbean Islands and the Keys will receive more than lip service. This too is the problem with the current world, the search for bigger, stronger, more shocking and/or exciting. Right you are, Michael. Technology has many wonderful qualities, but one I could live without is how immediate it makes world wide tragedies. I am finding it difficult to keep up with so much bad news that I can do nothing about. The nonsense is endless. As a people and nation, we have to stay strong. Do not lose hope and pray to God to give us the strength to go forward one day at a time. I am reminded of this line from a old song: One day at a time, sweet Jesus. That’s all I’m asking of you. But it’s getting harder and harder to pretend that the weight of life is not having an impact. These days are the most difficult, trying, cruel, and disappointing of all. So much seems uncertain that it is scary. I hope there will be a world for our grandchildren to inherit. I will try and rise up if you will too.